Few names scream the Eighties like Mike Read. The evergreen DJ and presenter became a household name during the decade of decadence – long before the uncomfortable viewing of his time in the jungle during the 2004 version of I’m A celebrity (Get Me Out Of Here!). It is, therefore, no surprise to discover him fronting a stage show called 80s Mania which is touring the UK. 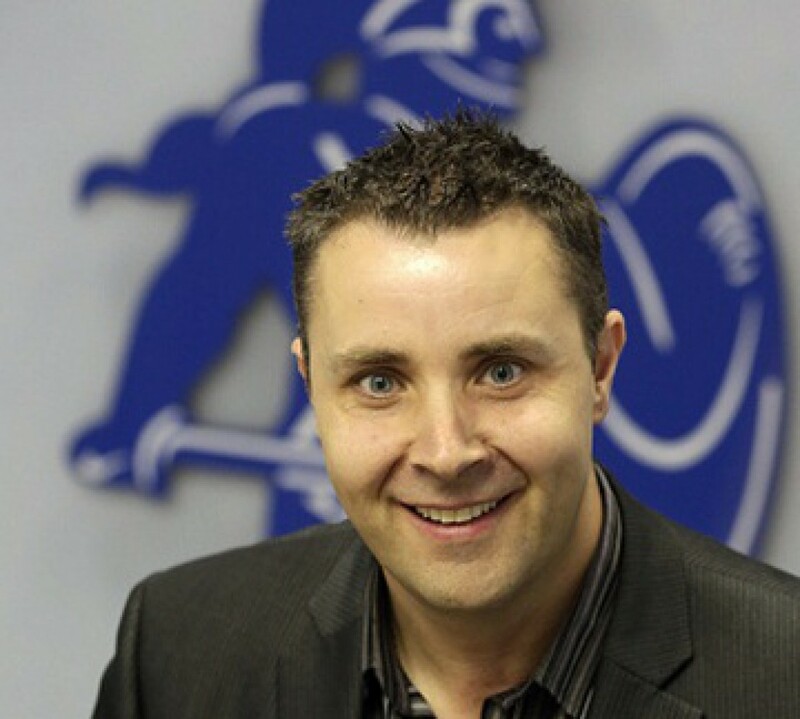 Mike is the video host of the show – appearing on the big screen surrounded by girls (Top Of The Pops style) and introducing the various chart acts from back in the day. He also slips in impersonations of former colleagues such as David ‘Kid’ Jensen and late greats such as John Peel OBE. 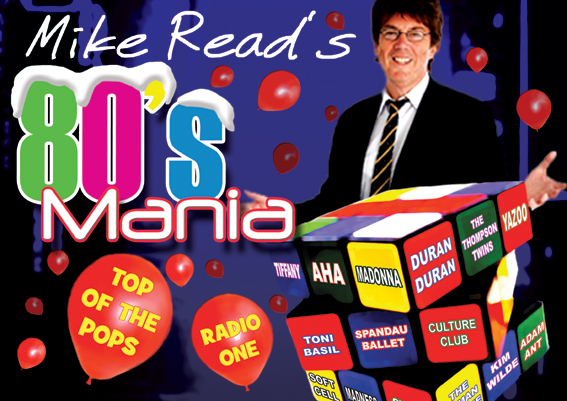 I caught up with Mike when the 80s Mania show called in at Hanley’s Victoria Hall. His CV is extraordinary and spans more than 30 years in the entertainment industry as a DJ, TV presenter, songwriter, author, actor and writer of no less than eight stage musicals. Through his time hosting the Radio 1 Breakfast Show and as a presenter of the station’s legendary Roadshow Mike rubbed shoulders with everyone who was anyone in music and regularly drew 17 million listeners. As the host of Saturday Superstore he was a household name to youngsters while his Saturday night Pop Quiz – featuring many of his showbiz friends – attracted more than 10 million viewers at the peak of its powers. To my mind, this breadth of knowledge and experience should make Mike Read the perfect man to explain why the Eighties enjoys such an enduring popularity in the UK. “It’s actually a really difficult question to answer,” said the 64-year-old. “However, what I would say is that the Eighties is to many people what the Sixties was and is to many others. “You have to understand I am biased but I would say the Eighties was stronger musically than the Seventies, the Nineties or the Noughties. “It also coincided with the advent of music videos which were hugely important and innovative and basically changed the face of the industry overnight. “Back then the top acts could afford to jet off two Mauritius for a couple of weeks to work on a wacky video to accompany their song. Mike’s time at Radio 1 coincided with a golden era in pop music and he helped launch some of the biggest names – as well as famously taking the decision on-air in 1984 not to play the Frankie Goes To Hollywood single Relax because of its ‘obscene’ lyrics. Mike said: “It’s hard to choose a favourite artist from the period. There were so many quality acts like Duran Duran, the Spandaus (Spandau Ballet), Paul Young, Adam And The Ants – the list is endless. “I was privileged to be a part of this scene and it is something that, at the time, I’m not sure we all appreciated. “Simply being able to work on a show like Top Of The Pops was a dream and so much fun. Of course, even the bespectacled, always smiley advocate of the Eighties has to admit that some of the fashions from the time were somewhat regrettable. He said: “I distinctly remember thinking at the time that, compared to the Sixties and Seventies the clothes we we wearing weren’t in any way unusual. “I thought that people would look back at the Eighties and think ‘blimey, they wore normal clothes back then’.